Akbar Cook has definitely made Ellen DeGeneres’ principal’s list, with honors. 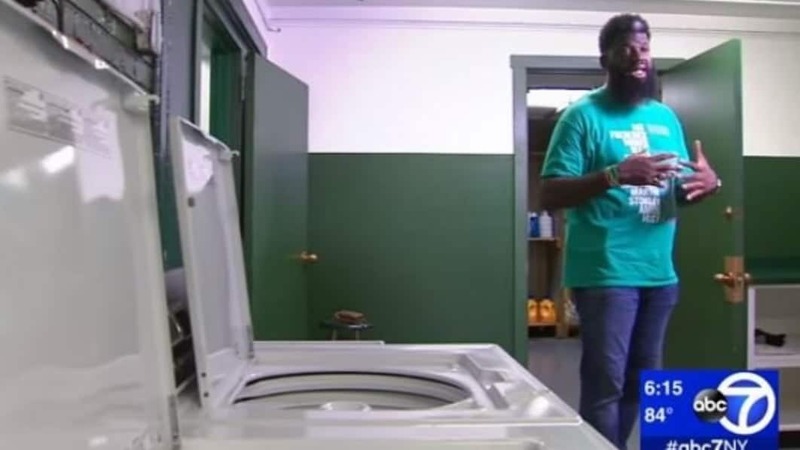 Newark’s West High School principal, Akbar Cook, caught the talk show host, Ellen DeGeneres‘ attention after making national headlines for recently installing free washers and dryers on campus after learning some of his students were being bullied for wearing dirty clothes to class. Cook said a study showed 85 percent of his students were chronically absent, and much of it was due to their attire. A smiling Cook sat nervously next to DeGeneres on an episode that aired Friday as she spoke of the “incredible things” he has been doing for his students. She said those acts made her want to have him on her show. “I admire you for what you are doing and these kids are really lucky to have you because you’re somebody they can look up to,” she said. But ever the giver, she had a surprise for him. DeGeneres who partners with Cheerios cereal to promote “One Million Acts of Good,” presented Cook with a $50,000 check for his school. “Oh my God,” a stunned Cook said. The money comes in addition to a $20,000 grant the school had received from a local foundation to purchase five washers and dryers. But, DeGeneres wasn’t done. She said Cheerios will supply a pantry of food for a year for the school’s afterschool program, “Lights On,” that helps keeps students off the street from 6 to 11 p.m., another one of Cook’s ideas. Cook told DeGeneres that he started the program after police sought his assistance to help kids safe. There’s plenty of activities including open gym, yoga, video games, exercise classes, dancing, and henna designs, NJ.com reported Friday. “Since we started this program, I haven’t lost any more kids to gun violence and I’m so happy,” Cook said to the talk show host.